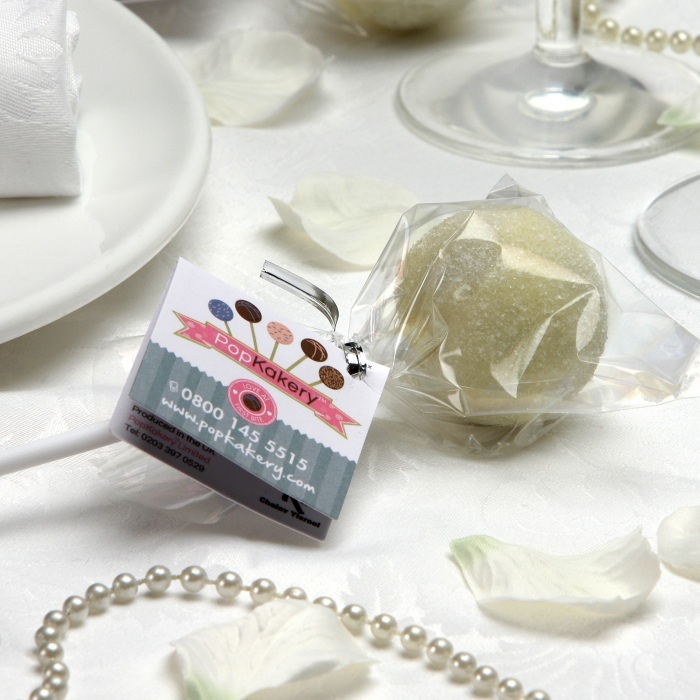 Popkakes™ are fast becoming the latest craze to hit the wedding favour market. Choose from gold or white sprinkles. 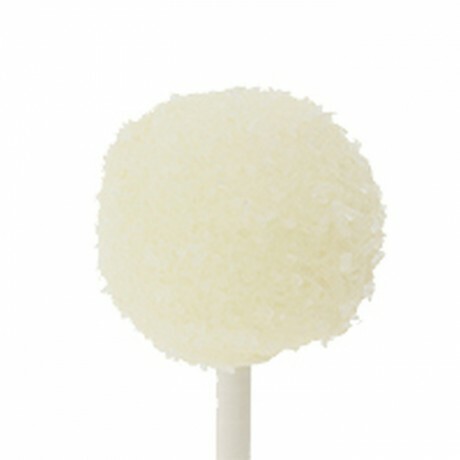 If you would like to personalise your wedding favours further then please see our Personalised PopKake Wedding Favours. 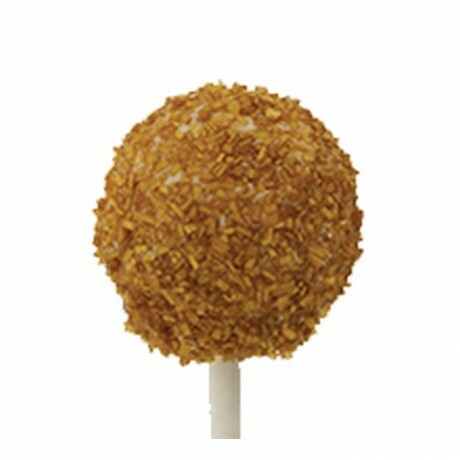 Please order a minimum of 40 cake pops. Orders of 80 or more come with a 10% discount. Shelf life:21 days. 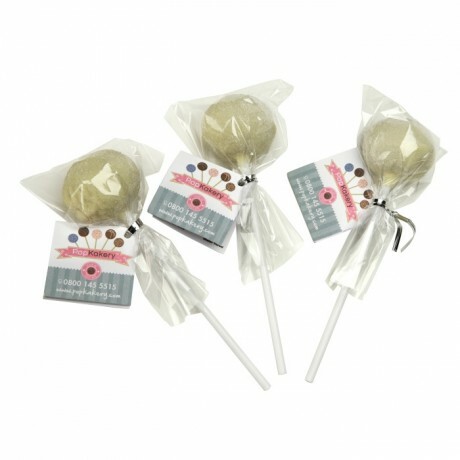 Request your preferred delivery timeframe at checkout to receive these fresh for your big day but please aim for delivery at least 5 days before your event. 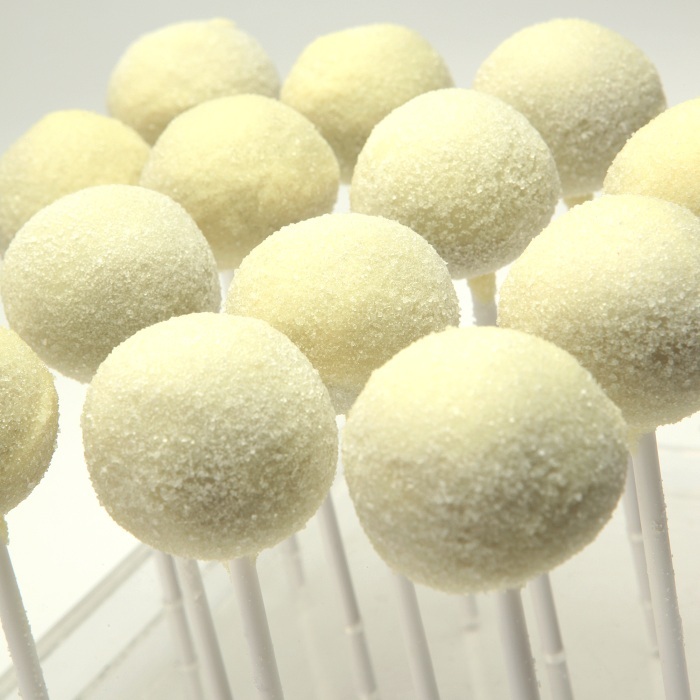 CHOC DAZZLE: Sugar, White Chocolate (17.7%) (Sugar, Cocoa Butter, Whole Milk Powder, Emulsifier (E322) (From Soya), Natural Vanilla Flavouring), Vegetable Margarine (Palm Oil, Rapeseed Oil, Water, Salt, Natural Flavour), Gluten Free Flour Blend (Rice, Potato, Tapioca, Maize, Buckwheat), Free Range Egg, Cocoa Powder (3.95%), Dark Chocolate (3.44%) (Cocoa Mass, Sugar, Cocoa Butter, Emulsifier (E322) (from Soya), Natural Vanilla Flavouring), Raising Agent (Raising Agents (E341i, E500), Corn Starch), Vanilla. BLING BLING:: Dark Chocolate (21.45%) (Cocoa Mass, Sugar, Cocoa Butter, Emulsifier (E322) (from Soya), Natural Vanilla Flavouring), Sugar, Vegetable Margarine (Palm Oil, Rapeseed Oil, Water, Salt, Natural Flavour), Gluten Free Flour Blend (Rice, Potato, Tapioca, Maize, Buckwheat), Free Range Egg, Gold Coloured Sugar Crystals (5.13%) (Sugar, Glazing Agent (E904), Colours (E171, E172), Glucose Syrup, Water) Cocoa powder (3.99%), Raising Agent (Raising Agents (E341i, E500), Corn Starch), Vanilla. Contains: egg, gluten, milk and soya. Made in a factory that handles nuts. 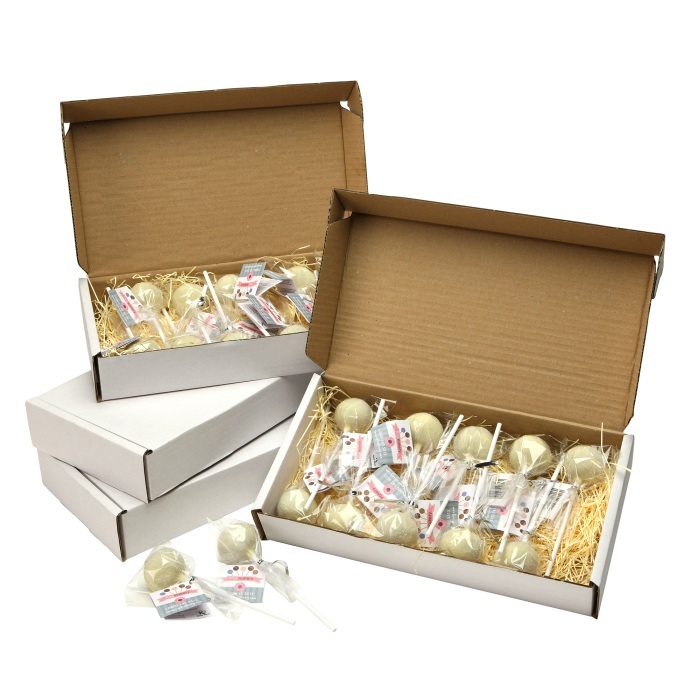 Minimum quantity for "PopKake Wedding Favours" is 40.